A bridle is the headgear attached to the reins, and used to control the horse. Yup – horses. Bridle Path is a not-so-subtle reminder that we mountain bikers share nearly all of our beloved North Shore trails with other trail users: some have two legs, some have four, some have wheels, some have paws. But we’re all out there together for the same reasons, just with different modes of transportation and recreation. This has been highlighted by the new bridge and explosion of trail users in the area. Bottletop has been the focal point for an influx of concerned emails, comments, and messages from the cycling community about the relatively heavy number of users on foot coming up the trail. Bottletop, like any trail within the LSCR mountain bikes are allowed, is a multi-use, bi-directional trail. 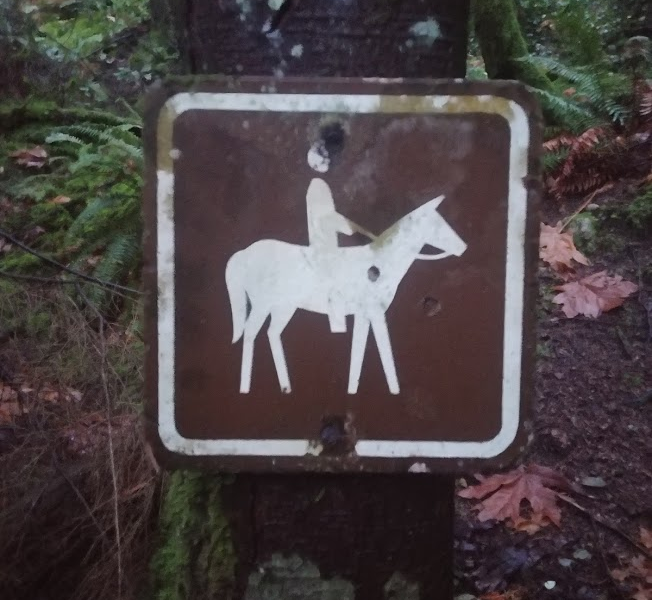 Foot and equestrian traffic are absolutely allowed to be there, and it’s up to everyone to be courteous, respectful users who share the trails we all love. Its classified as a ‘Frontcountry Multi-Use’ trail, a step away from ‘Mountain Bike Primary’. LSCR staff and contractors will be installing better signage (and split-rail gates) at the top and bottom of Bottletop which will hopefully better set expectations for all trail users. Thanks to Boulder Mountain Bike Alliance for letting us steal this one. 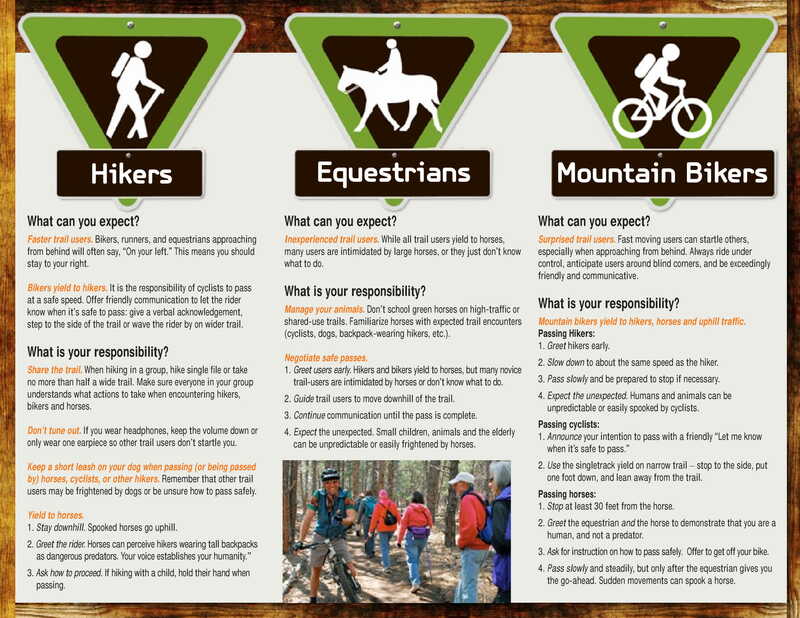 We all share responsibility on the trails, and remember; all the above notwithstanding, respect and courtesy have the right of way! If you’d prefer a video version from a consortium of land managers in stakeholders, look no further. If you really feel like charging, think about time and place; 1pm on a sunny Saturday on a heavily trafficked multi-use trail is probably not the best idea. And no matter where you are, you should always be prepared for the unexpected; hikers, horses, puppies, or meteorite sitting in the middle of a corner exit. Any time you set off into the Great Wide World on your mountain bike, you’re an ambassador for everyone on a bike. 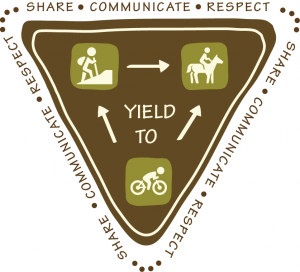 At the best of times mountain biker – hiker interactions are asymmetric and goal interference occurs; a biker often has more impact on a hiker’s experience than vice versa. If you haven’t ever done it, go for a walk on Seymour or Fromme some sunny Saturday, and you might see why some trail users don’t love mountain bikers. If you’d like some thrilling reading on the subject, spend your Friday evening here! So, straighten up and fly right, folks. The trails on the Shore are packed with all types of trail users, and it’s only gettin’ busier. Be Nice, Say Hi to ALL our trail loving friends in the community! If your riding buddies missed the memo and blow past some other users – apologize to the other users, and then do a bit of self-policing and have your friends check egos in the parking lot next time. Call ‘em out on this kind of behaviour. They can try and snag that personal best another lap – it’s not worth someone’s puppy. It’s up to all of us to be upstanding citizens and ambassadors for mountain bikes in our Shore community. Access is a privilege, not a right.